Three-tiers of classic favourites featuring Chocolate Flavoured Maids Of Honour Tarts, Apple Flavoured Maids Of Honour Tart, Scones served with Clotted Cream and Preserves, Finger Sandwiches filled with Salmon, Beef and Cucumber, Cheese with Crackers, English Trifle, Red Velvet Cake and Lemon Meringue Tart. 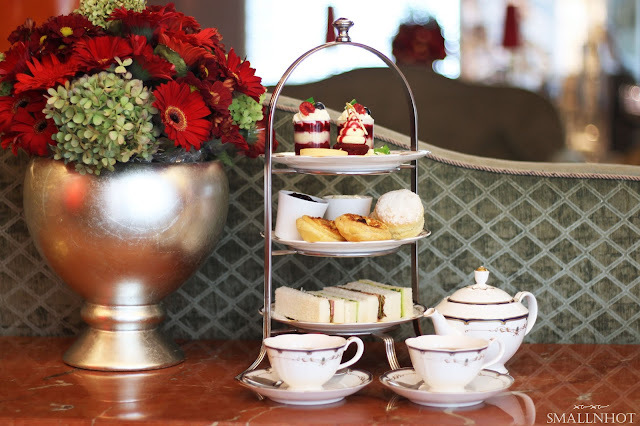 High Tea is accompanied with free-flow of the rich and piquant Orange Pekoe Tea. 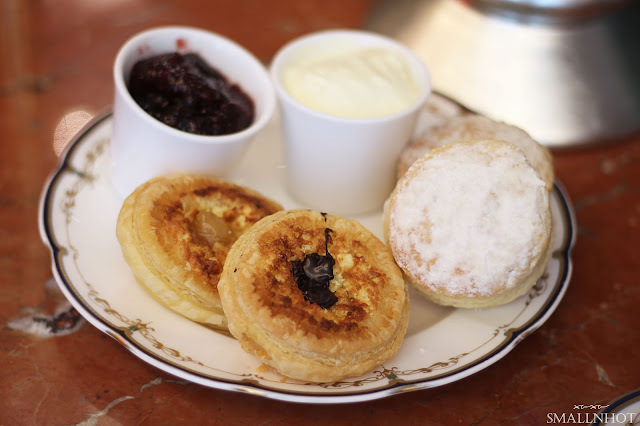 Newens Tea House earned itself the reputation for their Original Maids of Honour back in England and now you will get a chance to indulge in that 300 year old recipe, along with finger sandwiches, scones and rich Orange Pekoe tea to ponder over while a harpist plays across the hallway. 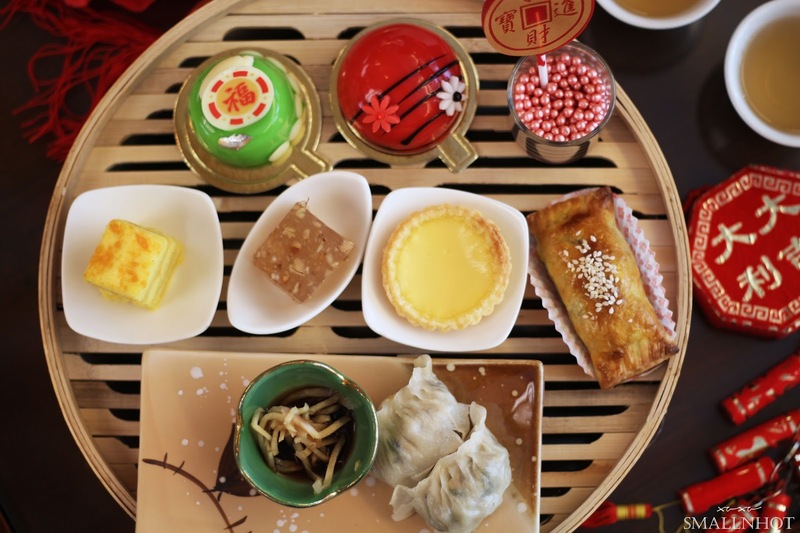 Flavourful pastries and oriental specialties such as Shanghainese Sizzling Chicken Dumplings, Osmanthus Flower Jelly with Water Chestnuts, Steamed Layer Cake with Custard Cream and Salted Egg Yolk, Baked Crispy Chicken Puffs, Baked Egg Tarts, Pineapple Tarts and Fruit Cake. Accompanied with free-flow of Pai Mu Tan tea (white peony Chinese tea). 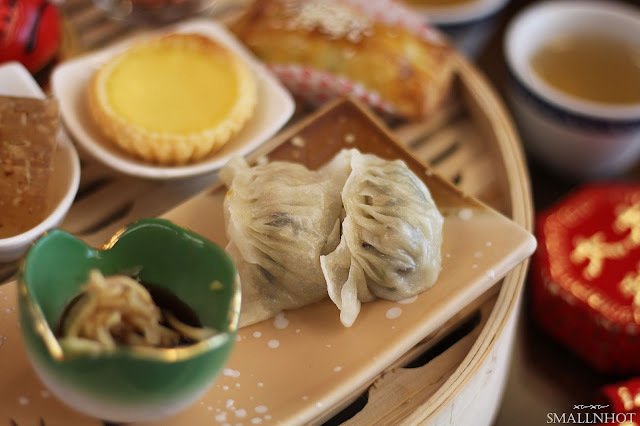 The pastries selection is particularly generous, with both savoury and sweet options all the way from China. 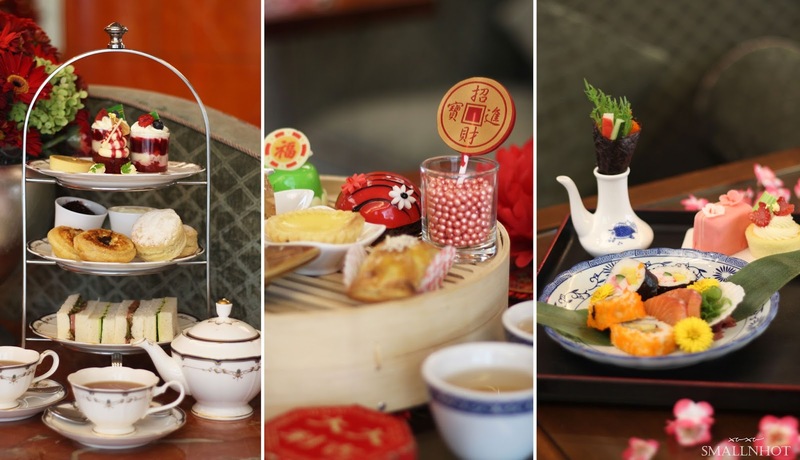 It is also beautifully presented on a traditional chinese bamboo basket, making it the most Instagrammable afternoon tea that you can find in town. 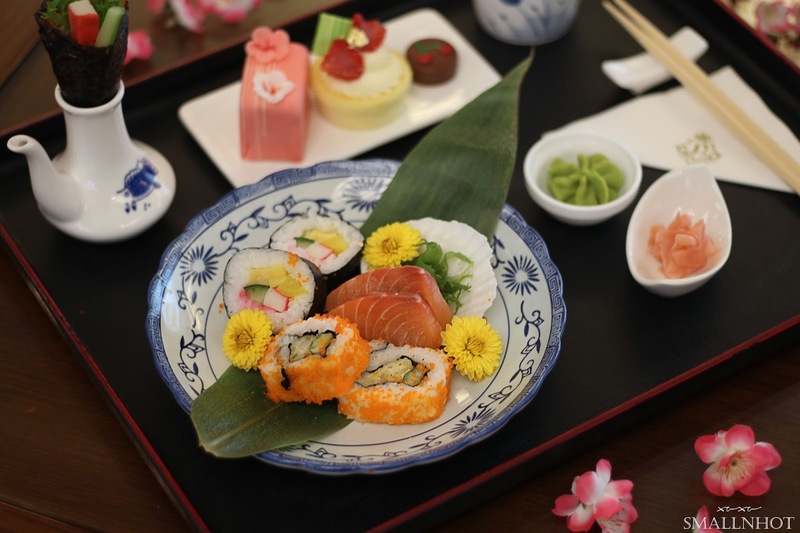 Cherry Blossom Afternoon Tea features delicious Sakura-Themed Mini Cakes, California Hand Rolls, Salmon Sashimi, Makimono Tamago - Omelettes in a Roll, Makimono Kani - Crabmeat in a Roll and Pralines. The set is accompanied with free-flow of the aromatic Wild Cherry Tea. 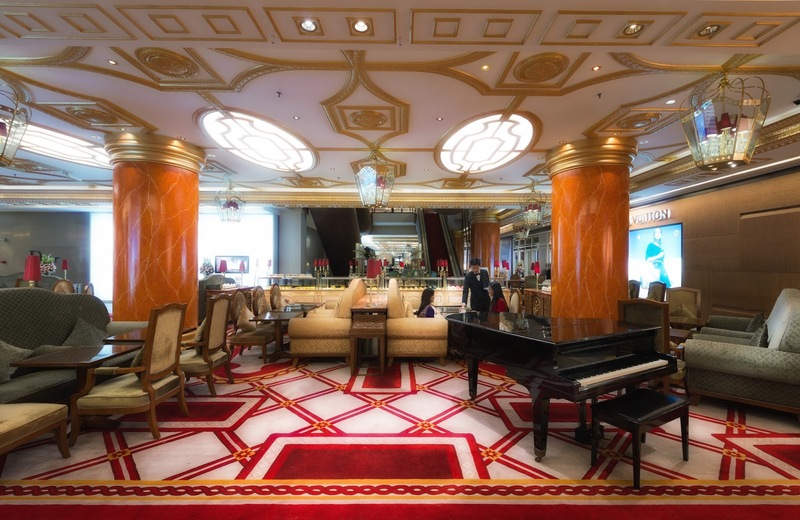 Now you don't have to travel all the way to Japan to celebrate the cherry blossom season. Just order a set of the Newens Japanese Cherry Blossom Afternoon Tea set and you will get to indulge in all sorts of Japanese and Sakura inspired desserts. 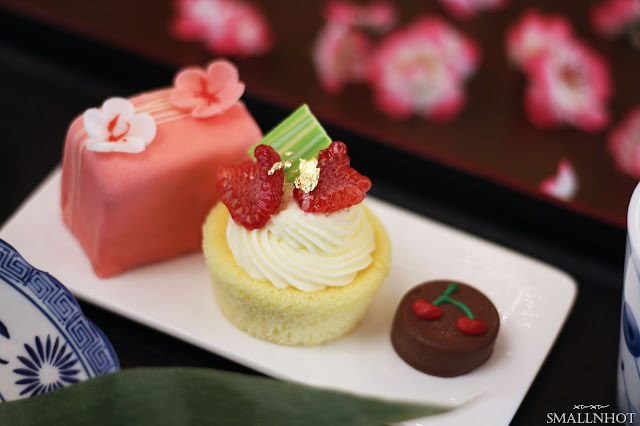 Our personal favourite from the set is none other than the Sakura-inspired cake that is moist, creamy and aromatic too. Whether you are looking for a cup of refreshing tea or fancy a light bite in the afternoon with your friends, you can be assured of a relaxing experience at Newens Tea House.